Straddling the New Wave Of British Heavy Metal on one side and the emerging thrash sound on the other, Metal Church's self-titled debut is an appealing hybrid. The band from San Francisco by way of Aberdeen, Washington is full of promising ideas based on melodic speed, energetic riffing and tight delivery, although there are under-produced moments that point to a band just starting out. 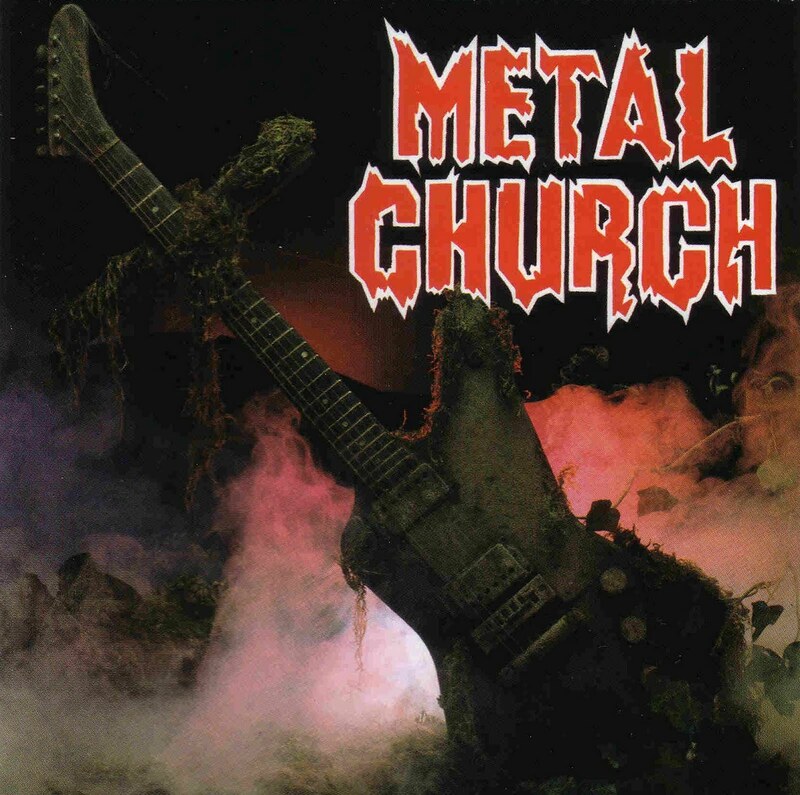 Metal Church boasts an iconic cover that may never win awards for nuanced artistry, but is nevertheless instantly recognizable. The album's reputation is built on the first two tracks and the closing cover. Album opener Beyond The Black is an impressive introduction to the band, a doom-laden, bass and drum-heavy assault of medieval armies marching to conquer fog-shrouded terrain. The band's signature self-titled track Metal Church is up there competing with Iron Maiden among the best band-titled tracks in metal. 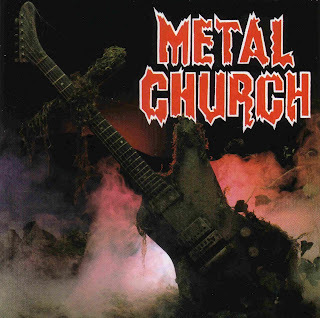 With an eternal groove steering the ascent to the spire, strafing guitar work providing covering fire, grim drums demanding ever forward momentum, and that simply scintillating riff waiting all the way to the 3:25 mark to make its triumphant entry, Metal Church is an irresistible classic. The cover of Deep Purple's Highway Star closes the album. Although not wholly necessary, Metal Church inject the classic groove anthem with a thrashy dose of speed and tweak the solos for the 1980s, producing if not an improvement then at least a respectful cover worth admiring. The other six tracks on Metal Church are competent but not exactly memorable. The guitars of band founder Kurdt Vanderhoof and Craig Wells are often just good enough to override the sometimes stretched vocals of David Wayne. Tracks like Hitman, (My Favorite) Nightmare and Battalions require vocal confidence and a range that Wayne struggles to convey, undermining some of the good song writing. In The Blood is under-developed and not quite ready to be an album track. But the powerful Kirk Arrington drums are pleasingly mixed way to the front, giving Metal Church a brawny, uncompromising sound even through the weaker moments. Metal Church never climbed the steepest of metal peaks, but their debut remains one of metal's more curiously engaging moments from the mid-1980s. Produced by Metal Church and Terry Date. Engineered by Terry Date. Mastered by Jack Skinner.